E.B. White is the author of Charlotte’s Web and Stuart Little. 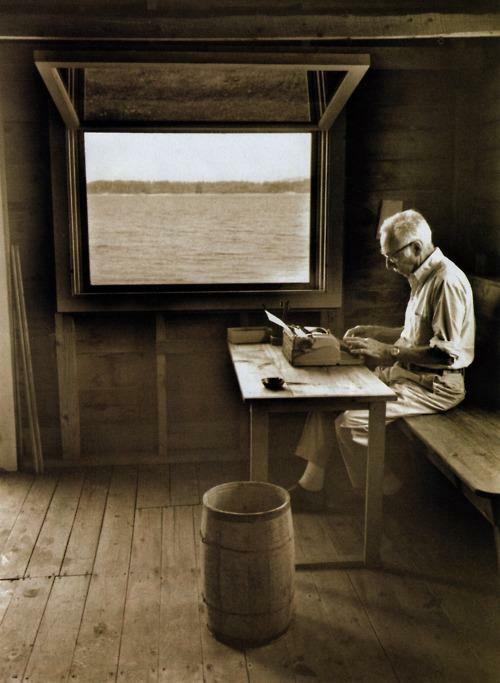 He is pictured here writing in his boathouse, Allen Cove, Maine.